Can I use this 36T inner chainring with a 50T outer? I want to make a custom 50/36 chainset. It may physically fit but without testing we could not confirm the shifting patterns would match up. Wotk With 10 Speed Chain? Hi, would this work with a 10 speed chain? Need a 36t ring for a shimano 105 compact chainset on a 10 speed setup. Although not fully recommended you should not have an issue with using this chainring with a 10spd chain. 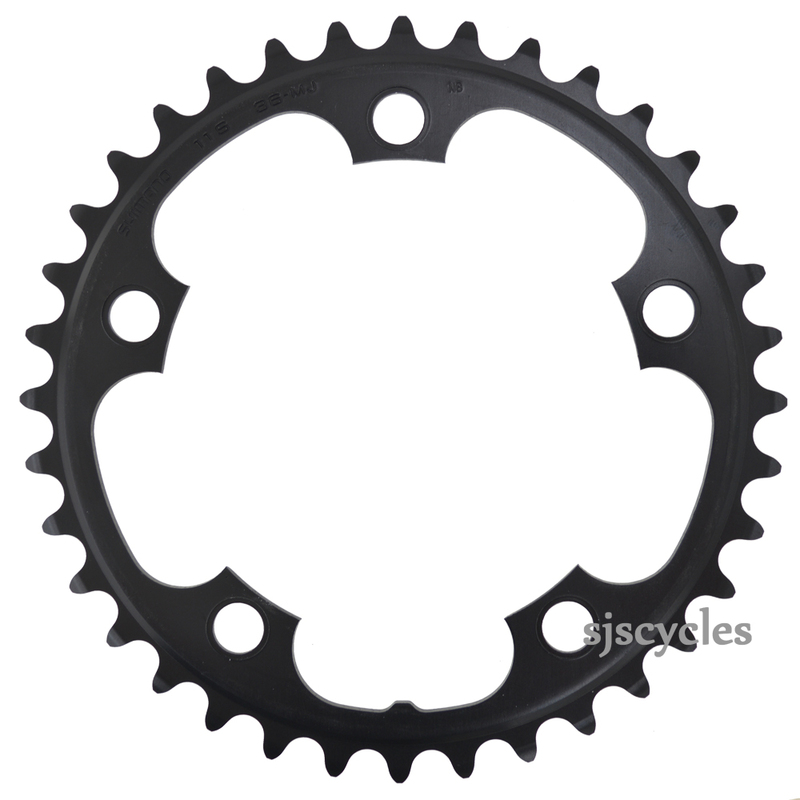 I am replacing my chain rings and I want to check if the Shimano FCRS500 110mm BCD 5 Arm Inner Chainring MJ Type Black 36T would work as a direct replacement for an FSA gossamer 36t chain ring. They are both 110mm and both have 5 bolts but I didn't know if there was some sort of special manufactures fitting that might prevent it. They both should use the standard 110mm BCD spacing so this Shimano should be a suitable replacement for your FSA chainring.